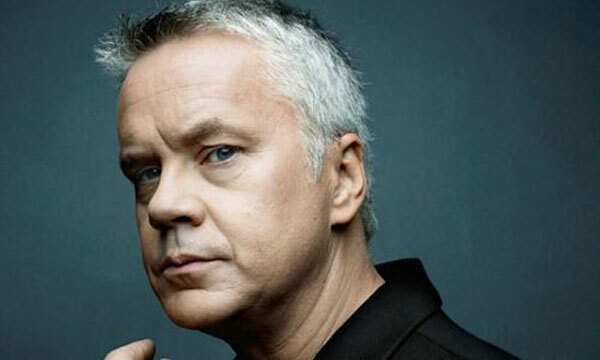 Watching Tim Robbins in Jacob's Ladder reminded me about his ability to carry a movie. The lead performances have been less frequent recently, but there are plenty of good options from a career that spans more than 30 years. The 54-year-old actor excels at playing quirky, often dim-witted guys who think they're smarter than they really are. This led to offbeat comic performances in his early career, but he's morphed into a convincing dramatic actor. He's brought tremendous heart to difficult parts that could become dull in lesser hands. Robbins has faced intense criticism for his liberal politics and has become a symbol for people who don't like Hollywood stars expressing their views. I don't think it's fair to criticize Robbins for stating his opinions, but I'll admit he's a bit self-righteous about it. Regardless, his work as an actor stands for itself and deserves the attention. I'm hoping that he'll return to more challenging roles in major films in the near future. 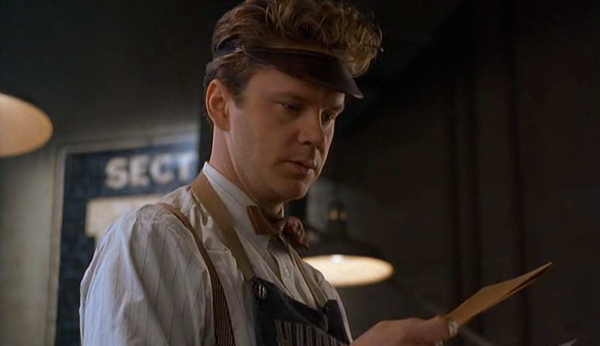 A forgotten gem in the Coen Brothers' career is 1994's The Hudsucker Proxy, which paid homage to the screwball comedy. Robbins plays a mail room clerk selected to be the next president of a huge company. He's set up as a stooge by Sidney J. Mussberger (Paul Newman), but he actually succeeds by creating the hula hoop. The clever fable works because Robbins and Newman are well cast. Norville Barnes doesn't realize he's been set up to fail, and his idealistic attitude (at first) is charming. Robbins plays the wide-eyed innocent well, and the Coens have a great time paying homage to the old-school genre. In the right role, Robbins can be downright creepy. 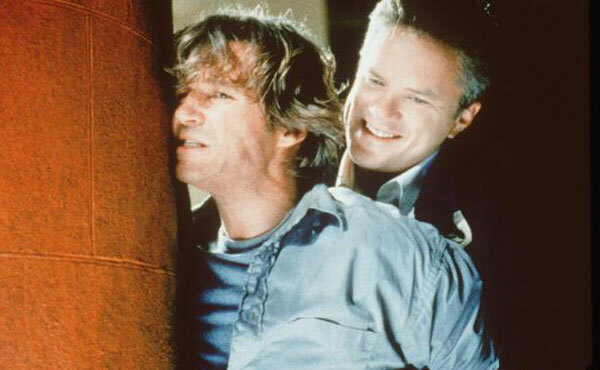 One of the best examples is Oliver Lang, the new neighbor for Jeff Bridges' Michael Farraday in Arlington Road. He seems like a typical suburban guy at first, but odd behavior raises his neighbor's suspicions. Director Mark Pellington keeps us guessing about Lang's intentions, but Robbins is so chilling that there's little doubt he's up to something terrible. The contrast between his stoic demeanor and Farraday's increasingly fragile psyche shows just how cold this guy has become. The ending is a bit silly, but Robbins never misses a beat and plays the villain just right. Robbins won a Best Supporting Actor Oscar for his performance as a blue-collar guy struggling to deal with sexual abuse from his childhood. He's barely connecting to reality, which makes him the prime suspect when Jimmy Markum's (Sean Penn) daughter is killed. I'm not a huge fan of Mystic River, but the performances are excellent. Unlike some of the other picks, Robbins is really "acting" this time. However, we believe this character has faced a serious trauma and is damaged. He's usually an imposing figure, but Dave Boyle is a meek guy without that stature. Robbins shows us a man who is so believable as the girl's killer that his friends don't believe his protestations. The final act lets down all the characters, but Boyle is still one of Robbins' best performances. Playing dumb isn't easy because most people try too hard to sell the idiocy. Aided by his awkward physical appearance, Robbins has no problems depicting a believable lunkhead. One of the best examples is Ebby LaLoosh, a rookie pitcher with great stuff but little brain activity. Robbins never strikes a false note as the arrogant guy who dismisses the mental side of baseball. What makes the story click is the heartbreak of his mentor Crash Davis (Kevin Costner), who would do anything to get a shot. LaLoosh takes his skills for granted and improves solely because of Davis' tutelage. The character works because Robbins keeps him believable; this type of player is certainly a common figure in major league clubhouses. This is the obvious choice and could easily be in the top spot. 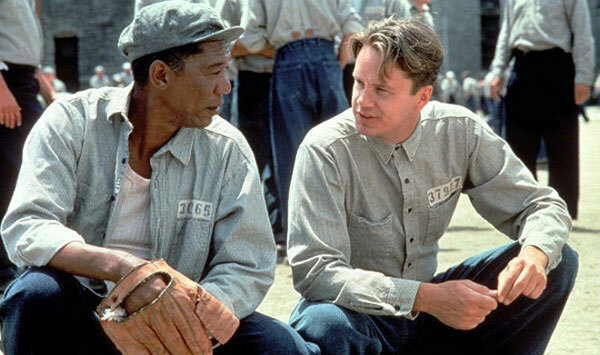 When most people think of Robbins, the first role they remember is Andy Dufresne in this beloved film. This prison drama based on a Stephen King short story didn't generate huge profits in the theaters but has become a television staple. It's also #1 on the IMDB 250, which is a remarkable feat despite that list's flaws. One of the main reasons for the success is Robbins, who makes us pull for the unfairly convicted guy. His quiet approach to seeking escape is brilliant, and we never doubt that Dufresne has the smarts to succeed. His bond with Red (Morgan Freeman) drives the story and makes it about a lot more than simply getting out of jail. These very different guys become great friends, which makes their final reunion such a satisfying end. Although it isn't as well-known as some of the other performances, Robbins' role as the ultra-conservative politician Bob Roberts is remarkable. He also wrote and directed the movie, which hits close to his political leanings by satirizing the ridiculous figure. While taking sharp aim at right-wing politicians, it also works as a silly comedy. Roberts' folk songs attack the usual targets for Republicans but to an upbeat tune. This was Robbins' directorial debut and shows considerable promise behind the camera. His performance reveals the ambition and nastiness behind the Roberts' smile. It's a nasty look at politics that takes aim at more than just a particular worldview, and the lead performance is pivotal to its success. I'd love to hear your thoughts about this list. Are you upset that his roles in Howard the Duck and War of the Worlds were omitted? 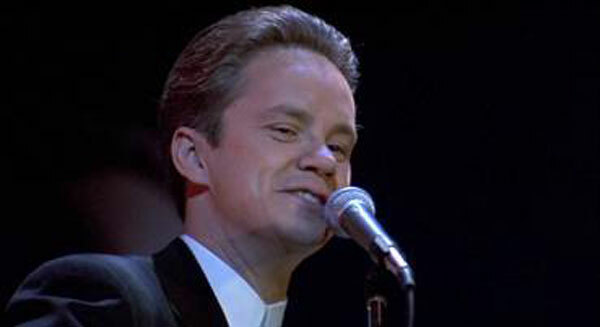 What are your favorite Tim Robbins performances? You should also check out past Top 5 Lists if you've missed them. Great list Dan. Robbins is an oft-underrated actor, so he's a good choice for a list. I've not seen Bob Roberts or Arlington Road, but from the sound of it they seem worth checking out. Personally I've always liked his comedic cameos, like in Anchorman or High Fidelity, as before I'd seen those I always thought he was a far more serious thespian-type. And Hudsucker Proxy for the win, love that film, and him in it. Thanks Jay! High Fidelity and Anchorman are both great appearances and so silly. Those are excellent choices. I think he has the reputation of being serious (partially due to politics), but he can do really well in funny roles. 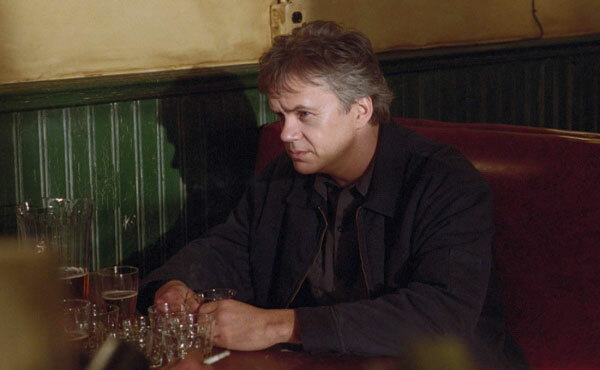 I really like Robbins - I thought both him and Marcia Gay Harden delivered outstanding work in Mystic River - they didn't have an easy job and they really created multi-layered, complex performances. I wasn't that big of a fan of the movie either, but I thought everyone were fantastic - my favorite two performances where delivered by Kavin Bacon and Laura Linney, who sadly didn't get much award love for this. Sati, I agree that Mystic River is a case where the actors did excellent work but were let down by the movie as a whole. Sean Penn could have been more subtle, but the others all did well. It just didn't totally work as a complete movie. I headed over here to see if three movies in particular were mentioned - The Hudsucker Proxy, Bob Roberts, and The Player. To my surprise you mentioned two of the three. And the two you did mention were the ones I thought had the least chance because they are little seen. I liked Hudsucker quite a bit, precisely because it was a tribute to screwball comedies. I also love Jennifer Jason Leigh channeling the female reporters from His Girl Friday and Mr. Deeds Goes to Town. I laughed quite a bit at Bob Roberts. It's one of my favorite mockumentaries. The Player is one of the early "meta" movies. I loved the opening where Robbins' character and others discuss the long, uninterrupted shot that starts Touch of Evil...all while they are part of a long, uninterrupted shot that opens their film. I also loved the close where we hear Robbins' character getting pitched the movie we just saw. My only quibble with your top five is Bull Durham, but that's because I've never seen what was supposed to be so special about the movie. I'd swap it out for Hudsucker or The Player. Chip, I've also seen The Player and liked it, but it's been a long time. I remember it having great scenes and being a fun satire of Hollywood. 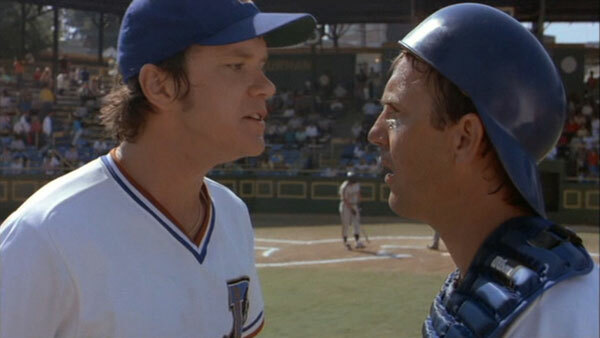 Bull Durham wouldn't make my top five baseball movies, but I think Robbins does good work playing an idiot. I do think people put the movie on a pedestal above where it is for me. I thought The Hudsucker Proxy at first...glad you mention it. I do love his turn in Bull Durham and can't argue with your number one (a perfect portrait of his far-reaching talent). Dan, I haven't seen The Hudsucker Proxy in a while, but it's stuck with me more than a lot of movies. I'm surprised by how rarely it gets mentioned among film fans. I think I only like Robbins in 'Shawshank.' There's a sci fi called Code 46 (http://www.imdb.com/title/tt0345061/) that I'm curious to see with him in the lead role. Have you seen it Dan? Ruth, I've seen Code 46, and it's an interesting movie. I was pretty disappointed by it, but Robbins and Samantha Morton do a good job. I also know that a lot of bloggers like it, so I think it's worth checking out. My expectations might have been too high when I saw it, and it's been a while. Because no one else has said it: yes, yes, yes for Bob Roberts. I love that film and Robbins is great in it. As is crazy-eyed Jack Black. Pat, I totally forgot that Jack Black was even in Bob Roberts! Good call on the crazy eyes. There are a lot of great actors in it, including Giancarlo Esposito, Alan Rickman, David Strathairn, and many more. I'm glad to hear that you're a fan.